Congratulations to Anthony for being our October Patient of the Month! 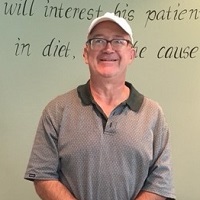 Anthony started care at Precise Chiropractic in December 2016 after listening to Dr. Cramer on 103.5 WMUZ’s “Your Weekly Checkup.” Prior to starting care at Precise Chiropractic Anthony suffered an industrial accident while at work in July 2014. This caused him to have 14 herniated discs and 3 super imposed torn discs. “I suffered with chronic, severe pain throughout my spine mostly in my mid-low back, for 2-3 years. Because the pain was so intense I often got very minimal sleep, and I felt dependent on others to help me get things done around the house, like cutting the grass,” says Anthony.  Anthony has benefitted greatly from being under NUCCA Chiropractic care! “After 5 weeks of starting care, I noticed relief from the intense spinal pain, and I went from getting minimal sleep to moderate sleep. A few months later, the pain was even more relieved, and I was able to get a full night’s sleep. Now, I still experience some pain throughout the day, but it’s very tolerable, and it only returns if I’m sitting for too long. I also have more of a positive outlook. I no longer have the “poor me” attitude that I once had. I’m also no longer dependent on others for help. My goal is to return to playing hockey. The Doctor says I’m not ready yet, but I know that if I continue with my care, I will be back to playing hockey, with the help of NUCCA,” says Anthony.  “My first impressions of Precise Chiropractic and NUCCA were fabulous! NUCCA is logical, intelligent and really makes sense to me. I recommend that anyone who is sick, suffering or in pain not hesitate in coming to Precise Chiropractic. Procrastinating will only cause further detriment to your health. I wish that I had discovered NUCCA right after having my work accident, because I would have implemented NUCCA care immediately and wouldn’t have had to suffer as long as I did. It is my aspiration to help as many people as possible to discover NUCCA Chiropractic. May God continue to bless and guide Dr. Cramer, her colleges, and staff in educating and treating patients using the NUCCA technique!” says Anthony. Saturday hours are available the first Saturday of every month.